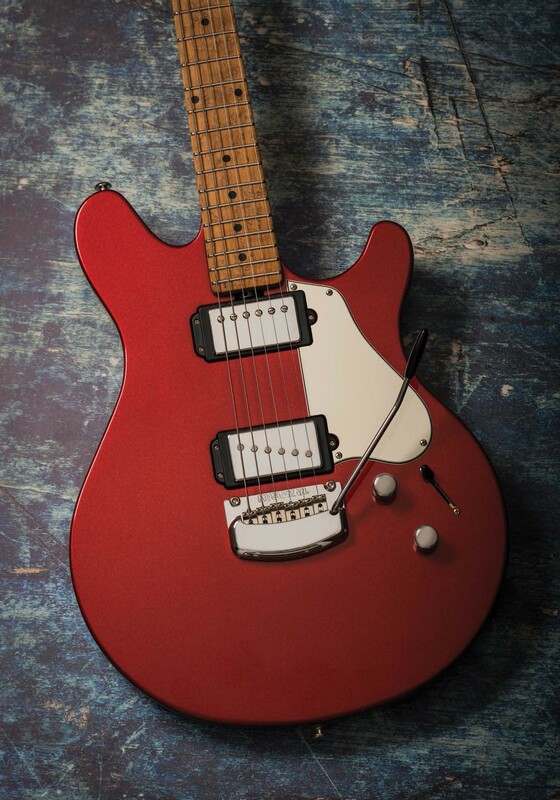 Music Man unveiled its James Valentine signature model back in 2016 to almost universal acclaim, and the Nebraska-born guitarist’s highly versatile squeeze was praised in these pages for its wealth of great tones and fantastic neck. 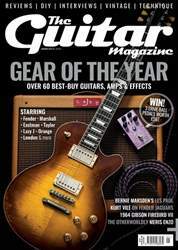 Although the Valentine covered a lot of ground already, this latest 2018 iteration ups the ante with the addition of a vibrato bridge – good news if, like this writer, you regularly find yourself unconsciously reaching for a whammy bar that doesn’t exist when playing hardtail guitars. 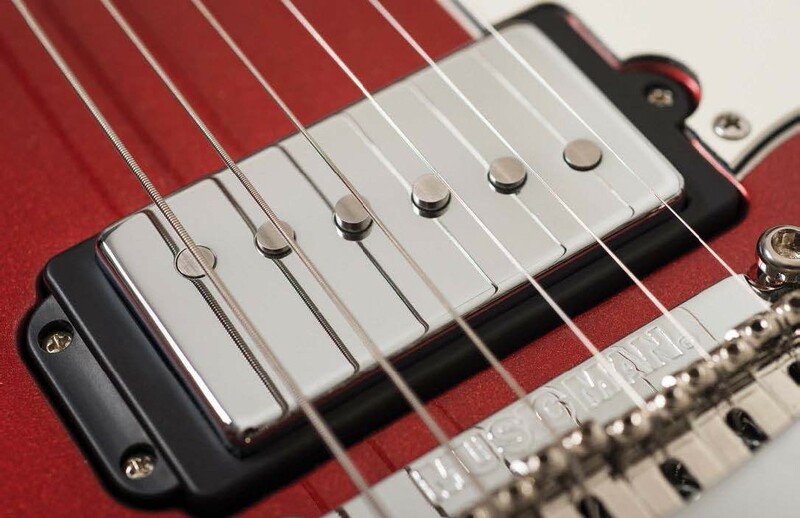 Aside from switching the bridge and adding attractive new finish options, the Valentine Tremolo preserves everything that we loved about the original model: the roasted, ffigured maple neck is finished with a blend of wax and gunstock oil (here, the timber is a lovely birdseye section, ovenbaked to a rich caramel hue) while the snug, wedge-shaped ash body sits somewhere between a double-cut Junior and a Telecaster, and tapers from around 41mm on the treble side to 35.5mm on the bass side.